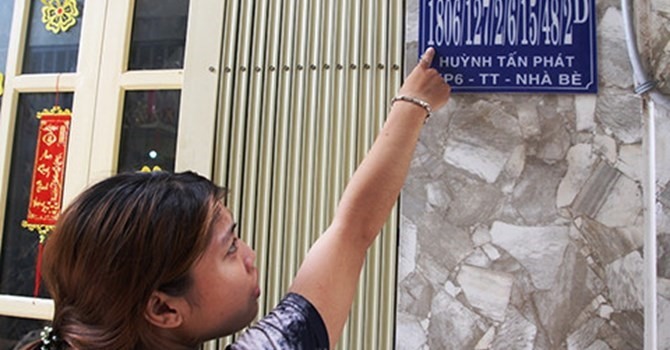 HCM CITY — The HCM City Department of Construction is seeking ideas of a new system of house numbering to resolve address number chaos in the city. Speaking at a conference on house numbering in HCM City last week, Đinh Tiến Sơn of the Quang Trung Software City gave his opinions on this issue. Houses located on the same road should be given odd or even numbers according to which side of the road they are situated. According to Sơn, if the house is in the right side, the numbers should be identified by measuring the distance from its right border to the road’s border. This method is also applied to houses on the left. For example, with the distance is 40 metres, if the house is in the right, its number will be 40. If it is in the left, the number will be 41. For houses in alleys, the house number will also be choosen by measuring the distance from the house border to the border of the alley. The alleys will be named A, B, C or D, and put before the house number, such as A40. According to statistics from the department, the city now has 1.5 million houses. House number chaos has occurred in the rural districts of Nhà Bè, Bình Tân and Gò Vấp, where there are multiple addresses with several numbers and the numbers follow in no logical order. For example, in the alley 1806 on Huỳnh Tấn Phát Street in Nhà Bè District, there are 10 houses with excessively long addresses that are almost identical. In Gò Vấp District, house addresses are numbered randomly because homeowners numbered their houses by themselves.